Home Tags Posts tagged with "johnny hallyday"
French singer France Gall has died at the age of 70. The singer, who rose to fame in the 1960’s, was suffering from cancer for two years. France Gall was taken to hospital near Paris last month for a severe infection. She won the Eurovision Song Contest in 1965 representing Luxembourg with the song Wax Doll, Rag Doll (Poupée de cire, Poupée de son). France Gall enjoyed more international success in 1987 with her tribute to Ella Fitzgerald, Ella, Elle l’a. The singer was born in October 1947 into a musical family – her father was singer and songwriter Robert Gall, who penned songs for music legends Edith Piaf and Charles Aznavour, among others. France Gall was known for her childish smile and sweet voice and, in the words of Le Figaro website, “embodied the emancipation of French girls in the post-war era”. Her career spanned 50 years and Culture Minister Françoise Nyssen described her as “a timeless icon of French song”. She was just 16 when her first single, Don’t Be So Stupid (Ne Sois Pas Si Bête), sold some 200,000 copies. However, it was France Gall’s Eurovision victory with Poupée de cire – written by Serge Gainsbourg, one of the biggest figures in French popular music – that helped catapult her to fame and make her a star on France’s Yé-yé (yeah yeah) pop scene, so-called because of its nod to English music at the time. France Gall’s death comes a month after the loss of another giant of French music, Johnny Hallyday – widely seen as the leader of the Yé-yé singers. Her collaboration with Serge Gainsbourg later came under scrutiny, however, after she admitted she had been too young to fully understand the double meanings of some of his songs. One of France Gall’s biggest hits was Les Sucettes (Lollipops), which tells the story of a girl who is “in paradise” every time “that little stick is on her tongue”. Once she realized its full meaning, France Gall refused to perform the song and vowed never to work with Serge Gainsbourg again. Her 1987 album Babacar, which included her tribute to jazz legend Ella Fitzgerald, saw her shoot to international fame. France Gall had previously been diagnosed with breast cancer in the mid-1990s, not long after the death of her husband and fellow singer Michel Berger at the age of 44 in 1992. He had written the music and lyrics for her Babacar album. She retired from her music career following the death of the eldest of her two children, Pauline, from cystic fibrosis in 1997. France Gall spent the final years of her life working on various humanitarian projects. Johnny Hallyday has died at the age of 74 after a long battle with lung cancer. France’s biggest rock star sold about 100 million records and starred in a number of movies in a career that began in 1960. Johnny Hallyday was made a Chevalier of the Legion D’Honneur by President Jacques Chirac in 1997. The French simply called him “Our Johnny”. However, outside the Francophone zone, Johnny Hallyday was virtually unknown. In a statement released to the AFP, the singer’s wife Laeticia said: “Johnny Hallyday has left us. “I write these words without believing them. But yet, it’s true. My man is no longer with us. Johnny Hallyday, whose real name was Jean-Philippe Smet, decided he wanted to be a singer after seeing Elvis Presley on screen in 1957. He was nicknamed the French Presley by his numerous fans. “Across generations, he carved himself into the lives of French people,” the president said. Among those to pay tribute to Johnny Hallyday was American guitarist Lenny Kravitz. 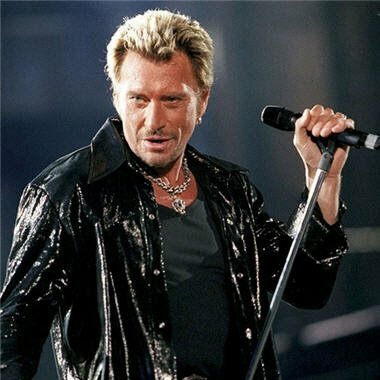 Heavily influenced by Elvis Presley, Johnny Hallyday broke from France’s classic “chanson” tradition in the 1950s, and began singing rock and roll in French. Despite his success at home, Johnny Hallyday failed to crack the lucrative American or any English-speaking market. The USA Today once described the singer as “the greatest rock star you never heard of”. Johnny Hallyday was known for his hard work and almost non-stop touring. However, he was also famous for his wild rock star antics, both on and off stage. Heavy partying, drugs, drinking and smoking, as well as five marriages all kept Johnny Hallyday’s bad-boy image alive. Tax policy rarely makes headlines in France, but the row between Gerard Depardieu and the government has given the issue unusual prominence in recent weeks. Gerard Depardieu’s opposition to plans for a new 75% rate of income tax prompted him to announce last month that he was leaving the country. When Prime Minister Jean-Marc Ayrault called the move “shabby”, the actor said he would tear up his French passport. The row took a new twist last week, when Gerard Depardieu applied for Russian citizenship, professing his love for a “great democracy”. Russian President Vladimir Putin gave him his new passport in person at the weekend. The very public row between a larger-than-life personality and the Socialist government has put the issue of tax exiles to the fore. But over the years many sportsmen, entertainers and economic leaders have quietly chosen to leave France for a variety of reasons. Switzerland – the adoptive homes of celebrities from the world over – appears to be the destination of choice for prominent French exiles. Singer Charles Aznavour – who had public rows over taxes with French authorities in 1970s – has lived there for four decades. Actor Alain Delon set up a luxury goods company in his name in Geneva in 1978 and acquired Swiss citizenship in 1999. Singer Johnny Hallyday moved to the ski resort of Gstaad in 2006. Media reports suggest he is paying much less in tax in Switzerland than he would in France at the moment – let alone if he had to face a 75% rate over 1 million euros in earnings. Jo-Wilfried Tsonga, France’s top male tennis player, has resided in Switzerland since 2008, although he has not cited lower taxes as a reason for his decision. Other past and present French tennis stars who have become Swiss residents include Guy Forget, Amelie Mauresmo, Richard Gasquet, Gilles Simon, Fabrice Santoro, Gael Montfils, Cedric Pioline, Henri Leconte, and Marion Bartoli. French-speaking southern Belgium is favored by some. 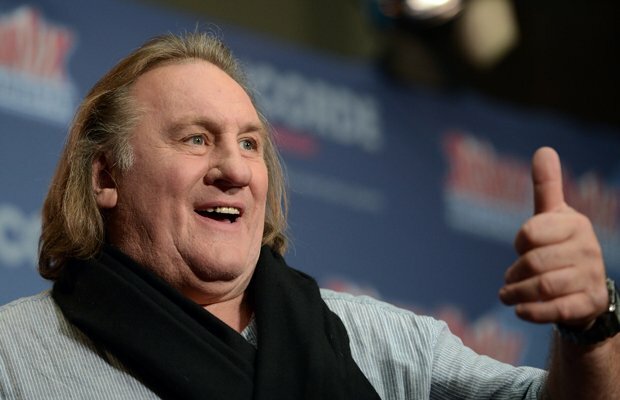 Gerard Depardieu announced he was buying a house there last month. The Meunier family, which controls Carrefour, a supermarket chain, lives just across the border from France. Bernard Arnault, head of the luxury goods group LVMH and France’s richest man, applied for Belgian citizenship in September – although he denied that this was for tax reasons, and said he would continue to pay taxes in France. The actor Christian Clavier, Gerard Depardieu’s fellow star in the Asterix film franchise, moved to London last year. His agent described the move as temporary and not motivated by taxes. Rock star Johnny Hallyday has been rushed to hospital on the French Caribbean island of Guadeloupe suffering from an abnormally fast heartbeat, French media report. The singer, hugely successful in France, was flown by helicopter to a hospital in Pointe-a-Pitre from the nearby island of Saint-Barthelemy. 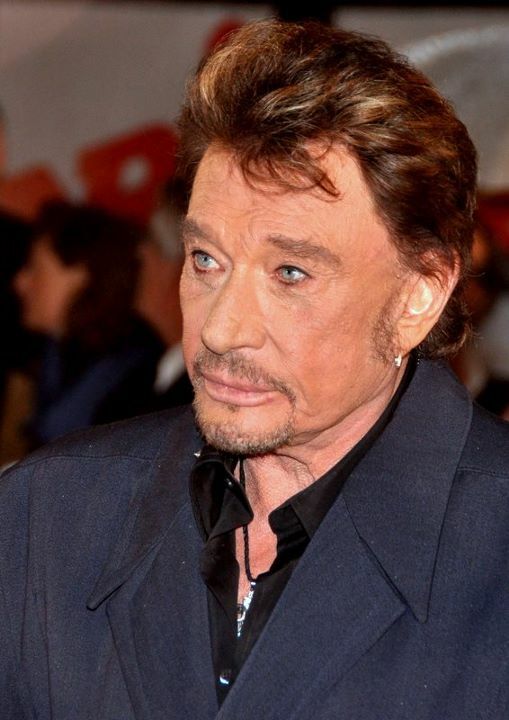 Johnny Hallyday, 69, fell ill with tachycardia on Saturday while on holiday. The French news channel TF1 says he is in intensive care and is conscious. RTL radio reports that his wife Laeticia and other family members are with him and want to transfer him to the French island of Martinique. Johnny Hallyday has been recording a new album, expected to be released in November.